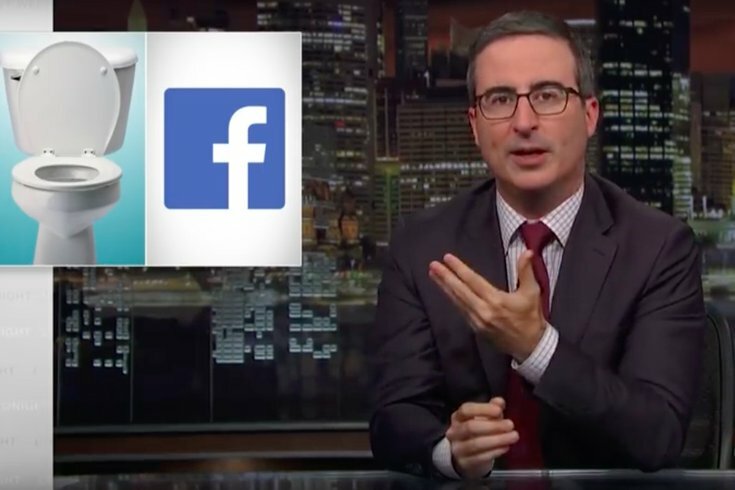 John Oliver answers the question of which has more integrity: Facebook... or a toilet? John Oliver focused on Facebook during Sunday's episode of "Last Week Tonight," highlighting the social network's role in spreading false and potentially dangerous misformation, particularly in parts of the world where people get all their news from the platform. This problem is exemplified by Myanmar, Oliver points out, where Facebook has become an "echo chamber for Islamaphobia," so much so that the United Nations is investigating it as an instrument of war. Authorities are considering whether the site may have worsened pre-existing tensions linked to an alleged genocide against the country's Rohingya Muslim minority. Though Facebook has rules and regulations about hate speech, Oliver notes that such regulations are not yet in place in Myanmar, in large part because of a lack of Facebook staffers who speak Burmese. So while false information is quickly spreading and contributing to heightened extremist hate against religious minorities, the company is fixing those problems "really f***ing slowly," Oliver says. It all culminates in a brand new Facebook ad that equates the site to a toilet, though Oliver admits, "it's a little unfair to the toilets, because they make s**t go away, whereas Facebook retains s**t, disseminates s**t to your acquaintances, and reminds you of s**t from seven years ago, all while allowing corporations to put their s**t in front of you." Check out the full clip, and the new "ad," below.